Originally posted January 30, 2010. 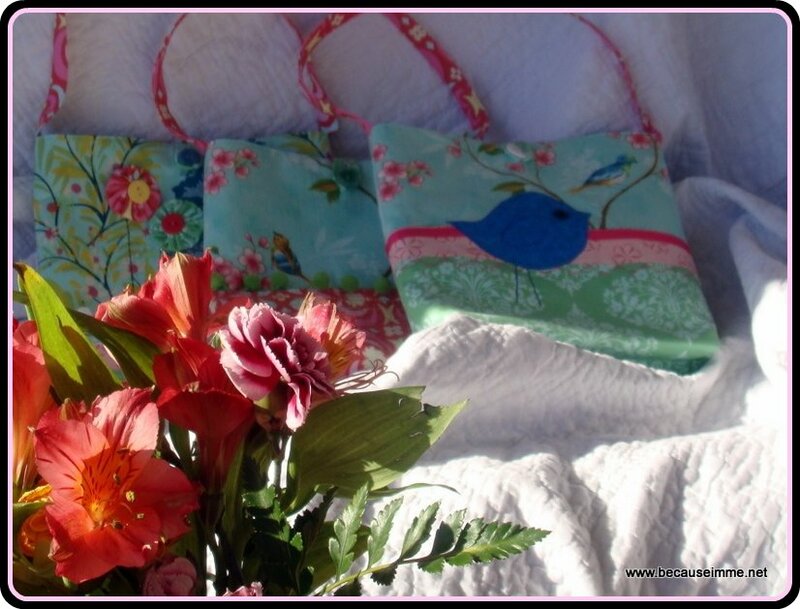 Three purses for three little girls. 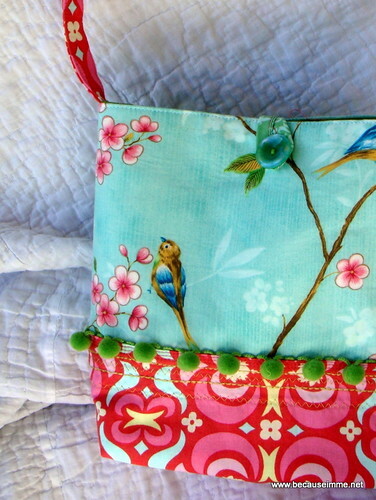 A special order requested by my most purse obsessed friend. 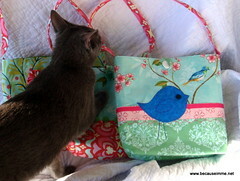 Her sister is expecting a baby girl in a few short months and Nikol wanted to give her her first purse. The other two are for friends of her family. 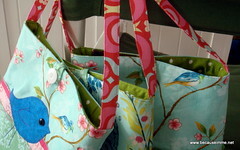 The bags are smaller, about 10" by 10" (maybe, I forgot to measure them!). 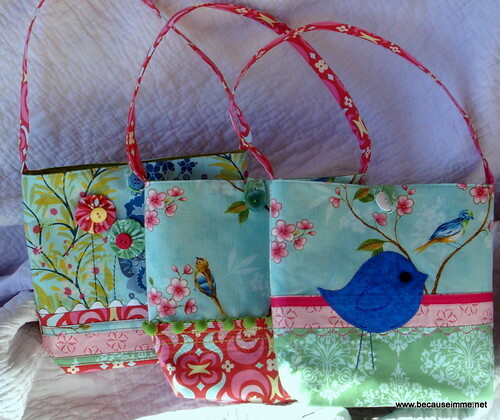 Each has inside pockets and closes with a coordinating button. 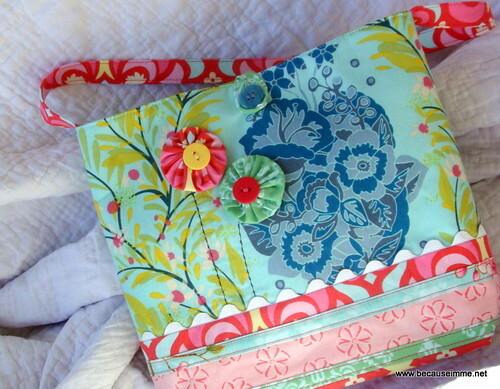 The first bag has yo-yo flowers and ric-rac trim. 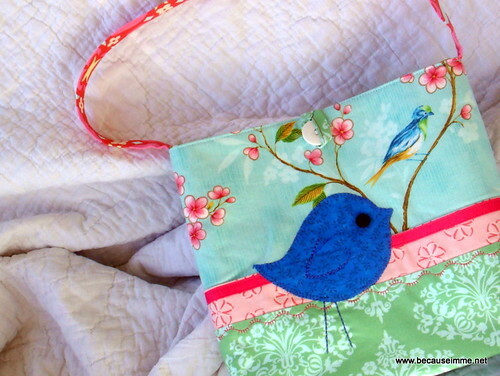 The second an appliqued blue bird. And the third is embellished with gold metallic thread and green pom-poms. Isn't Hippo so helpful, jumping into the picture to "adjust" the shoulder straps? That cat is a complete pain in my neck ... constantly running away, climbing onto counters and eating food, chewing up the furniture ... he's lucky I'm already madly in love with him because he drives me up a tree!